Here at AussieBet you will find all the information you need about all the biggest and best Australian betting companies. This time TAB Sportsbet is put under the spotlight and if you are thinking about becoming a member you are in the right place. Our in depth TAB Sportsbet review looks at every aspect of their product, both good and bad. So, if you are considering opening an account with TAB Sportsbet then just keep on reading to find out exactly what they have to offer. Access to live streaming of horse racing and NBA. Odds and depth of markets for sports are disappointing. TAB Sportsbet is part of Tabcorp holdings, an ASX listed company since 1994. The TAB brand was first unveiled all the way back in 1964 and they are licensed in both NSW and VIC. They have over 2500 retail units in both territories and TAB Sportsbet gives punters the chance to bet on horse racing and sports online. It is against the law for Aussie bookies to offer online in-play betting due to the Interactive Gambling Act. However, TAB Sportsbet advertises in-play odds on their site and you can place in-running wagers over the phone. If you bet mainly on horse racing then TAB Sportsbet is well worth checking out. Members can access Sky Racing 1, Sky Racing 2 and Sky Thoroughbred Central for free via the TAB Sportsbet site. This allows members to bet and watch the best international and domestic horse racing action. TAB Sportsbet have been on the scene for over 50 years and we think it is a betting site well worth checking out. Sometimes it is nice to have a helping hand when trying to pick out those elusive winners. Well, with the TAB Sportsbet Blog you can access a wealth of information on a wide range of sports. TAB Sportsbet’s experts analyse all the biggest Aussie and International racing and sporting events and it really is a brilliant resource for punters. The TAB Sportsbet blog is easily accessed via a link on the drop down menu on the left hand side of the home page. You will find regularly updated articles on racing, NRL, AFL, soccer and NBA. The TAB Sportsbet blog is a tool is well worth utilising and it is one of the best blogs available from any Australian betting agency. One of the latest offers you can avail of with TAB Sportsbet is their magnificent Multiplier. This cool feature allows you to boost your odds on one bet a day and if you are lucky you can boost your odds x5. Just choose your wager, and if the Multiplier is applicable a multiplier button will appear in your Betslip. Simply click on this button to boost your odds. The size of your multiplier is randomly generated and will provide a value of up to 5x. The multiplier feature applies a multiplier in the range 1.02x – 5x after the eligible bet has been placed. You are more likely to receive a Multiplier at the lower end of the range once the algorithm is applied. For full multiplier terms and conditions check the TAB Sportsbet account. As we outlined earlier on, the Interactive Gambling Act outlawed online in-play betting in Australia. However, most bookies still display in-play odds and with TAB Sportsbet you dial 1300 408 773 to place your in-play wager. Live betting is available across a wide range of sports with TAB Sportsbet, including basketball, soccer, golf, rugby, tennis, baseball, netball, volleyball and for the Commonwealth Games. An impressive array of in play markets are available and to find out how to bet in-play with TAB Sportsbet check our guide below. Open a TAB Sportsbet account. Click on the ‘Live Betting’ button on the left hand side of the main drop down menu. Find your odds and call 1300 408 773. One area where TAB Sportsbet really stands out is through their live streaming service. If you open an account with TAB Sportsbet you will instantly have access to Sky Racing 1 & 2 as well as Sky Thoroughbred Central. This means you can watch all the biggest and best racing events in Australia and around the world. All you need to do is log in to your account and click on the ‘Video’ button in the top right hand corner. It isn’t just racing that you can stream live with TAB Sportsbet. Basketball is hugely popular down under too, especially the glitz and glamour of the NBA. Well, if you love your slam dunks and alley oops then TAB Sportsbet could be the betting company for you. You can bet and watch NBA matches live with TAB Sportsbet, just place your wager and visit the ‘Live Match Centre’. Betting on the move has rocketed in popularity with Aussie punters in recent years. It is imperative that bookmakers provide a Mobile or Web App and TAB Sportsbet have Apps for all devices. You can stream live racing to your device via the TAB Sportsbet mobile and web app and all the usual markets on sports and horse racing are available. If you use an Apple iPhone, iPad or iPod Touch you can download the TAB Sportsbet App from the App Store. It is 58.2 MB in size, it requires iOS 9.0 or later and location and age restrictions apply. The Android App can be downloaded directly from the TAB Sportsbet website. If you use a Blackberry, Nokia or Windows Phone you can bet on the move by simply visiting TAB Sportsbet on your device. You will be automatically redirected to the Web App. The App works smoothly and the live betting section is particularly impressive. The odds update regularly and you will find a multitude of markets to bet on for sporting and horse racing events. The TAB Sportsbet App is well designed, easy to use and for punters who like to bet anywhere at anytime, this Mobile App is well worth a try. How Good Are the TAB Odds? Perhaps the most important thing to consider when opening an account with a bookie is the quality of odds and range of markets on offer. We had a look at the odds on offer from TAB Sportsbet, Centrebet and Palmerbet for a recent AFL contest between Newcastle Knights and Brisbane Broncos. When it came to the quality of odds there wasn’t much between them. TAB Sportsbet had an over round of 110.1% in the head to head market, but Centrebet (109.47%) and Palmerbet (109.84%) had slightly better odds. When it came to the amount of markets for the above mentioned match TAB Sportsbet lagged behind with just 56. Centrebet had 110 and Palmerbet were next best with a total of 102 markets. So, when it comes to generosity of odds and depth of markets, TAB Sportsbet has plenty of room for improvement. Sometimes you know deep down that the last leg of your multi or Quaddie is doomed to failure. In times gone by there was nothing you could do, but now if you fear the worst you can cash out with TAB Sportsbet. Cash Out allows you to take an early payment for a pending fixed odds or Quaddie bet before the final result is known. You will be able to Cash Out (or partially Cash Out) of your Quaddie after the completion of the 1st, 2nd or 3rd legs of the Quaddie providing fixed odds are available for all remaining legs. Not many Australian bookmakers offer the option of cashing out Quaddie bets, so this is a facility well worth making a note of. TAB Sportsbet offer cash out on some multi and single fixed odds bets & Quaddie and Early Quaddie bets (Super Multi bets, combo bets, Trackside bets, Hong Kong Quaddie bets and all non-Quaddie pari-mutuel bets are excluded). As a general rule, where a fixed odds price is available for a pending selection, you should be able to receive a Cash Out offer, although there may be some exceptions. Check the TAB Sportsbet site for full terms and conditions. Horse racing is one of the most important sports in Australia and not many countries can lay claim to hosting a race that stops a nation. Well, The Melbourne Cup does just that, but that is far from being the only major racing event held in Australia throughout the year. The Autumn Festival is fast approaching and that is hugely popular with horse racing punters too. TAB Sportsbet are well known for their extensive horse racing betting suite. It is well laid out and very easy to navigate. Weight and Sky Rating are displayed for each race and you can get the resident TAB expert view by clicking on the ‘Preview Show’ button. All the usual betting options are available, including Win, Place, Trifecta, Quinella, Exacta, Duet, First 4, Quaddie, Daily Double and Running Double bets are offered. TAB Tote is offered for all events and TAB fixed odds are offered for most events. Fixed odds are available earlier than a lot of their rivals and perhaps the best feature of all is that you can bet on horse racing and watch your selection run live via TAB Sportsbet live streaming. Instant Deposit Methods: Credit/Debit Card, TAB Retail Outlets. Withdrawal Methods: Bank EFT, International Transfer, PayPal, Skrill, BPAY. 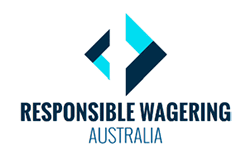 Unfortunately, POLi Payments is no longer accepted at TAB Sportsbet, following the update of their webpage. Need not to worry, if that's your payment method of choice, check out our POLi betting sites. Another key consideration when you are deciding whether to open a new betting account is what sort of banking facilities are available. There is no point in becoming a member of a site if you can’t withdraw or deposit funds. TAB Sportsbet have a limited range of banking facilities available as you can see above. Minimum deposit/withdrawal is $20. Before you make any withdrawals you must verify your account and to find out how just check our guide below. Log in to your TAB Sportsbet account. Click on ‘Menu’ then click on ‘Pending Actions’. Verify details of identification (driver’s license/passport, etc.) via desktop/mobile site. If account is not verified within 90 days it will be suspended. It is very common for bookies to protect their interests by imposing strict win limits for horse racing, sports and multi wagers. Most Australian bookmakers outline clearly in their terms and conditions what the win limits are, but that is not the case with TAB Sportsbet. They are very vague on what their win limits are, simply stating that they will impose win limits at their own discretion. We think it is much better to know exactly how much you are allowed to win, and this has to be viewed as a major negative for TAB Sportsbet customers. As the old saying goes, the customer must always come first and it is imperative that any business, no matter what the industry, provides quality customer service. TAB Sportsbet say the best way to contact them is via the help centre where you can fill out a query form. There are other ways to get in touch with TAB Sportsbet and you will find the relevant contact details below. Telephone: Customer Service: 131 802. Email: Via ‘Contact Us’ section of website. (same day response time). Post: NSW: 680 George St, Sydney, NSW 2000, Australia; VIC: Tower 2, 727 Collins St, Docklands VIC 3008, Australia. Is TAB A Bookmaker You Can Trust? It is never easy to divulge sensitive personal information over the internet, especially your bank/credit card details. You need to know that your info will be stored safely and securely in a responsible manner and TAB Sportsbet do exactly that. We list some of the main ways in which they protect your sensitive information below. Measures to preserve system security and restrict unauthorised access. Back-up systems to reduce the risk of accidental or malicious loss of data. Here at Aussiebet we take the promotion of responsible gambling very seriously. We are glad to report that TAB Sportsbet share the same outlook. It is very easy to get carried away with gambling and it should always be enjoyable. If you think your gambling habit might be getting out of hand, you can use some of the resources and tools listed below. To help individuals who are experiencing trouble in managing their gambling, Tabcorp provides a Self-Exclusion program called BetCare. Easily keep track of profits/losses by easily keeping track of transactions. Overall, we were impressed with TAB Sportsbet, particularly with their horse racing service. There are some obvious negatives, including less than generous odds for sports, poor selection of markets in comparison to some of their rivals and limited banking facilities. The lack of defined win limits is another slight negative. However, the positives far outweigh the negatives. The live streaming service is second to none with racing and NBA action available to members. The mobile app works well and if you mainly bet on horse racing then TAB Sportsbet is streets ahead of the field.